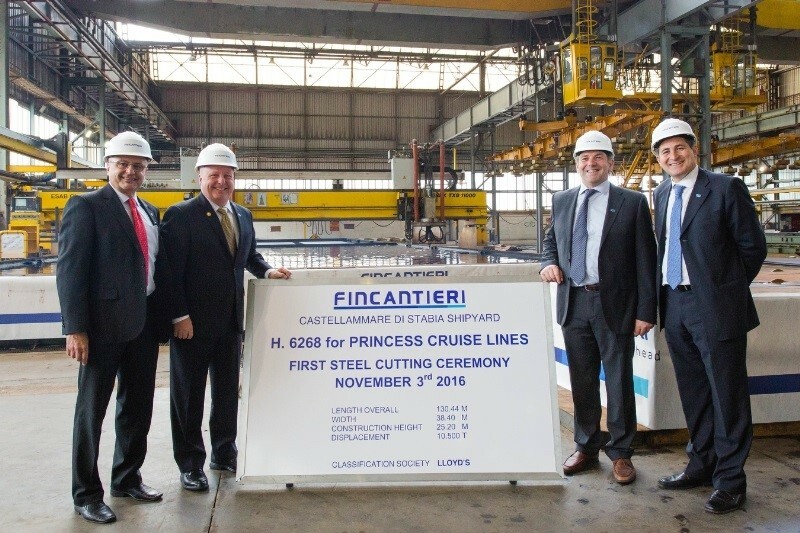 The first steel has been cut for the fourth Royal Class cruise ship for Princess Cruises. the first steel cutting is a major milestone when construction ships and as tradition a ceremony was held at the shipyard and attended by cruise line and shipyard executives. The piece of steel-cut on November 3 was for the bow section of the ship. The fourth Royal Class ship is currently under construction at the Fincantieri shipyard in Castellammare di Stabia, Italy. 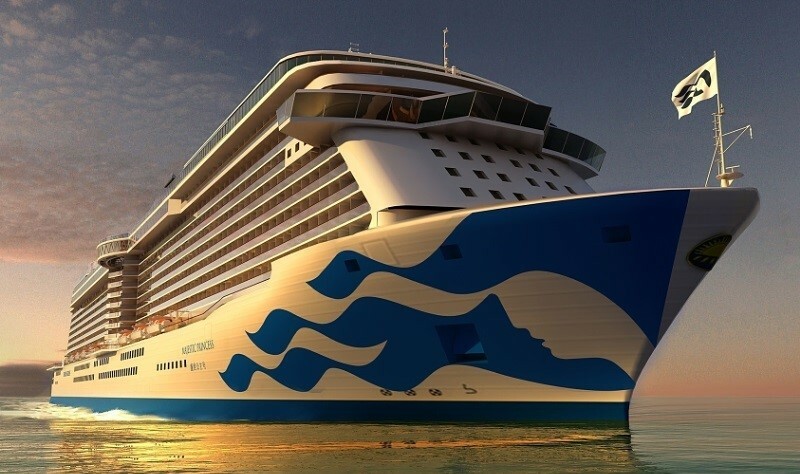 The vessel will be identical to Royal Princess, Regal Princess and Majestic Princess which is being purpose-built for the Chinese market. Once completed the fourth class ship will be 143,000 gross tons and carry 3,600 guests at double occupancy. Over the coming months, more details will be released on the unnamed ship. Construction is scheduled to be completed in 2019.